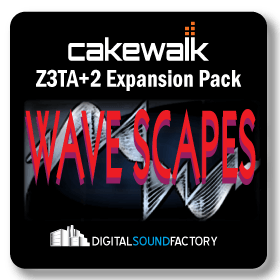 Digital Sound Factory WaveScapes Expansion Pack explores the power of the Z3TA+2 synthesizers amazing wave shaping algorithms. 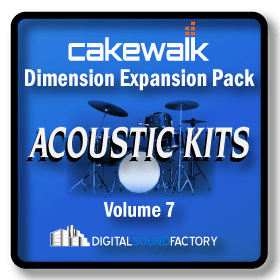 Wave shaping parameters are programmed to allow instant control over the waveforms harmonic characteristics and are controlled using the modulation wheel, X-Y pad, velocity, and after touch. WaveScapes also includes auto shaping programs synced to LFO’s that morph waveforms rendering amazing new sonic textures. 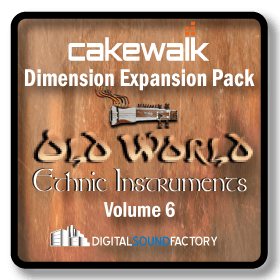 Sound categories consist of Synthesizers, Keyboards, Leads, Pads, Textures, Basses, Arpeggios, and Sequences that include 270 programs along with new waveforms and MIDI sequences. 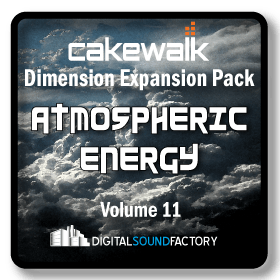 Take control of your waveforms with DSF’s WaveScapes.